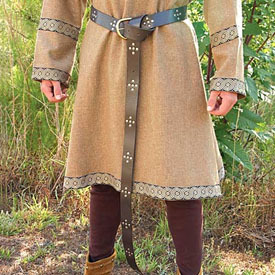 This truly fantastic long belt is made of a heavy grade, brown leather. It measures a full 74 inches in length and has a brass buckle. Nickel studs adorn the belt, one size fits all.